emfluence Marketing Platform Review: "Good for what we need"
It's being used by our account service and digital marketing team to deploy emails and track results. It's solving complex communications that we have for some our client and its customers. 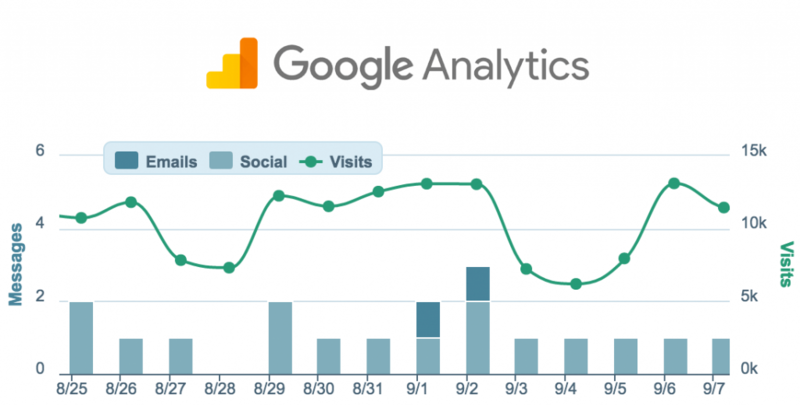 The email builder is hit and miss. Sometimes it brings in outside code, even when I paste text that matches the format, which loses us time and money. 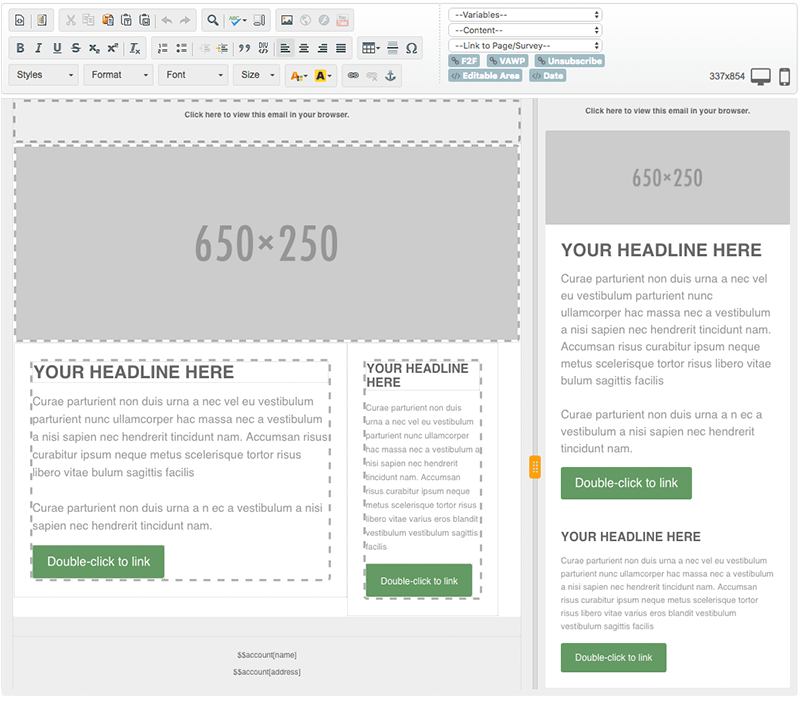 More control of email templates, it feel as if it is over simplified. Reporting lacks some depth in information and tracking specific users. emfluence is good to use as a basic email marketing platform. I would advise that if someone would want very specific data from their email deployments, to look elsewhere. Review: "Emfluence Marketing Platform helps all areas of our organization"
We use the emfluence platform for our entire organization. We send out marketing emails, monthly emails, participants emails, surveys and we use the pages/modules section to place a popup onto our website. The platform helps us easily keep in contact with our participants like at the Kansas City Marathon. We can send them details leading up to race day and then afterward follow up with surveys and deals. We also use the social media scheduling calendar for our Twitter and Facebook accounts. 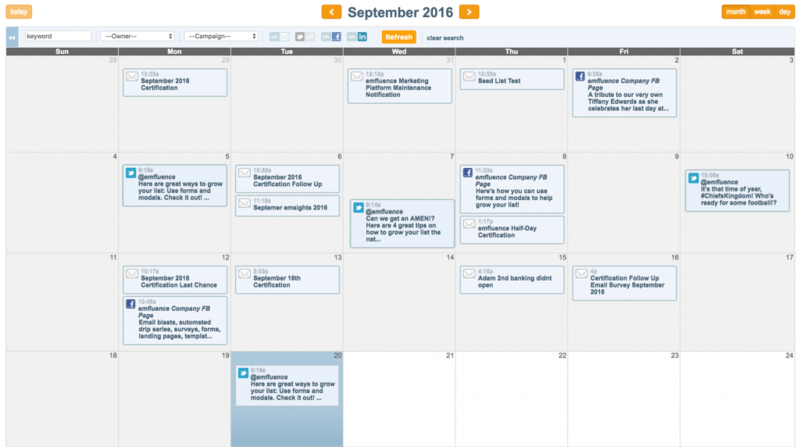 The social media scheduling is a great way to schedule posts ahead of time, even months in advance. Our email templates were created to match our website and we have access to edit them to customize even further. The new drag and drop is a lot easier to move blocks of text around within the email template. We change out the website popup frequently on our website and it is easy to change with the emfluence platform's pages/modules tool. The survey tool on the emfluence platform are easy to use and easy to use and easy to pull the results. I do have issues sometimes when making a website popup. I specify certain measurements of my popup yet when it shows up on my website, the graphic doesn't adjust and I have a bunch of white space. But that could also be my website. When adding a new contact into the contact section, once you hit save, the contact information stays on the screen instead of an empty contact profile so you can immediately add the next person. Sometimes when I update a template, The unsubscribe link will link to my email address instead of the person the email is being sent to. If an organization sends out a lot of marketing emails and has social media campaigns to go along with the emails, you can manage all of it all in one platform. This makes it easier to monitor. Each email and social media posts can be assigned to a certain campaign which makes it great to gather results to share with a sponsor when they want to know if their sponsorship dollars are being used correctly and their contract is being met. If an organization doesn't have a need to send out marketing emails, then it might not be that great of a fit. emfluence Marketing Platform Review: "Let me Influence you on Emfluence"
While we originally used the platform for only prospective students we have since moved to using it for communications in multiple sections of our business practice including student, alumni and faculty and staff. The deliverabililty and placement reporting really provide insight as to where/when your message has landed with the end user. The preflight also allows you to make sure you have less chance of hitting the dreaded spam box. We have used the platform many times for RSVPing to events. It is very useful in messaging respondents and sending separate follow ups to those that haven't responded. It also allows us to be able to easily collect check in lists for staff to have at the time the event starts. We use the platform in part of our communication strategy to celebrate birthdays and anniversaries. The video link component has added an extra layer of fun to students and staff. The platform itself is fantastic for email engagement and for setting up touch points with your segment audiences. Since we aren't a retail type business I can't really talk to the "sales/specials" aspect - but having been to several user conferences that seems to be a solid fit for anyone looking for digital solutions. emfluence Marketing Platform Review: "Helpful, useful, solved our problems"
All email marketing initiatives are done through our marketing department on behalf of branches nationwide. emfluence was one of the few platforms that would accommodate our data needs and issues. They helped us with a custom solution to provide high-quality email marketing to our customers. Our data systems don't play nice with every platform. We aren't able to use an API to connect data. We require data transfers through FTP. emfluence was able to accommodate that need, as others weren't. They also have a feature that allows up to clean up the data after it enters the platform. It was a critical solution solved for us by emfluence. Custom solutions for data transfers. Easy and intuitive email creation. 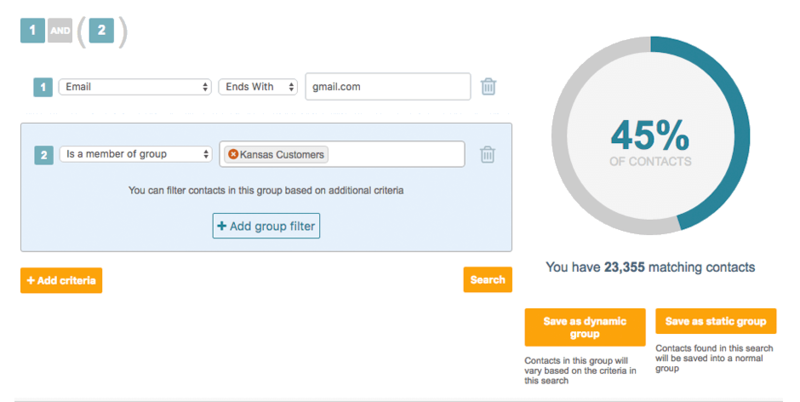 Broad-scale tracking, measuring, organizing email platform. A little more diversity in their templates. Variable data automation for customers that can't use an API. If you need some custom data connectivity solutions, emfluence can help. They provide cost-effective solutions to your needs. It's comprehensive and easy to use. You can get the education without the need to have someone holding your hand. If you need a very hands-on support system, they aren't what you're looking for. 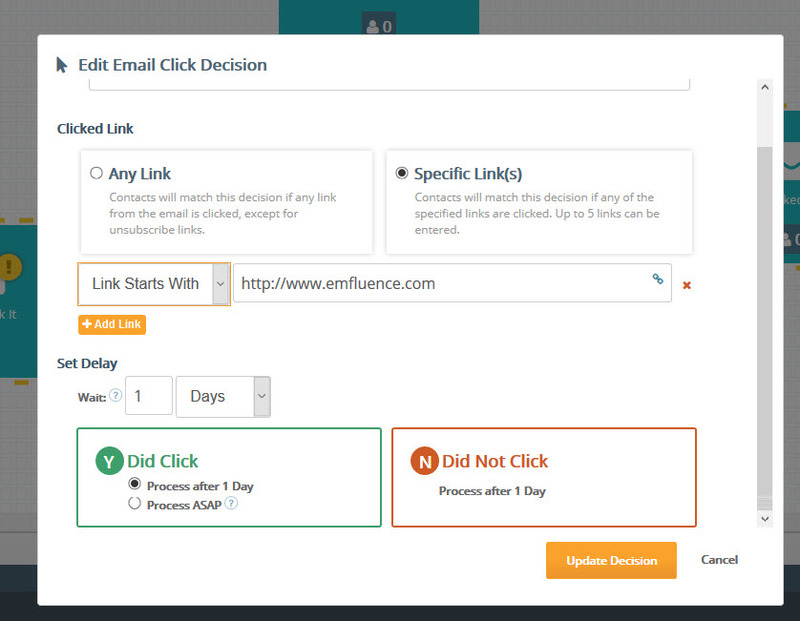 The emfluence Marketing Platform is a marketing automation platform featuring drag-and-drop email editors and automated campaign builders, simple social media scheduling, manageable landing pages, workflow management, analytics, website tracking, surveys, and modals. The platform works for B2B and B2C marketers, marketing agencies, and CRM providers. The product supports CRM integrations and an open API for custom integrations. emfluence offers digital marketing consulting services as well, to help customers with email strategy, marketing automation management, or CRM and MA platform integration. The company also offers a partner program for agencies or CRM platforms. Find exactly the right audience based on search perimeters or contact characteristics using the Dynamic Marketing Group Query Builder.Create dozens of beautiful, custom email templates to reuse as often as you like, or take advantage of our drag and drop editor.Measure the success of your email and social media alongside spikes in website traffic using Google Analytics, or schedule granular reports for an overview of surveys, landing pages, forms, social posts, emails, list growth, and more.Visually create your automated marketing campaigns using the drag-and-drop Workflow Canvas, plus send contacts from a single group into branches based on email views, clicks, or custom queries.Build branching into automated workflows based on opens, clicks, or custom decisions (based on custom or out-of-the-box contact fields, dates, and more).Build and schedule a month's worth of social media and email on our drag and drop marketing calendar and visualize your content calendar in action. The emfluence Marketing Platform offers unlimited users of the platform plus unlimited email sends. Pricing is based solely on Active Email List Size.